Medical social workers coordinate services for and counsel patients and their families in a variety of settings. You will find social workers in hospitals, schools, hospice, and anywhere support and guidance are needed. Victims of crimes, trauma, or abuse also may especially benefit from the services of a medical social worker. To learn more about this versatile, demanding, and rewarding career, I consulted with Elizabeth R. Rose, MSW. Rose is a travel writer and a former full-time medical social worker. She has more than 30 years of experience in medical social work, including management roles such as directing ethics and social services departments. Although retired from the field, Rose is still involved in supporting the efforts of social workers via her website socialworkworld.org, which includes a variety of resources, information, and articles for people who work in social work or who are planning a career in social work. Rose took time out of her busy schedule to answer some in-depth questions regarding the ups and downs of a career in social work. Typically medical social workers are scheduled 24/7 and, if not, there is an on-call arrangement so that a social worker can be reached at all times, in case of emergency or crisis. A typical day in a hospital may begin with a review of new admissions to the facility, current referrals and unresolved case issues from the previous day. 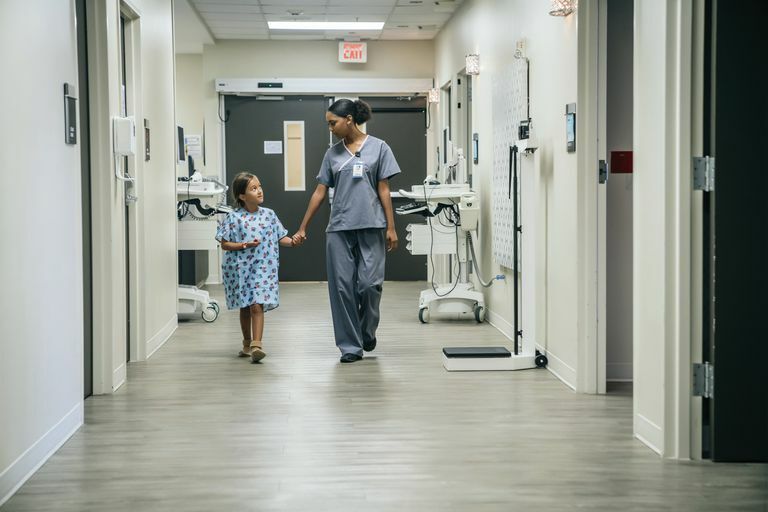 The day will often continue with rounds on the various nursing units to collaborate with the physicians and nurses in planning for the patient. Additionally, a social worker will spend part of his or her day implementing plans for patients' discharge (release from the facility) or problem-resolution. This includes patient and family meetings and, often, healthcare team meetings. One of the big roles of the social worker is crisis intervention, so the social worker's day never goes as expected. There may be a death on one unit, where the family needs grief counseling, a suspected child abuse case on another unit, where an evaluation needs to be made to assist the team in reporting to Child Protective Services. And, of course, there are always members of the healthcare team and patients who need to "talk to the social worker right now!" Social work in health care requires a healthy dose of patience, along with great skill in prioritizing cases and intervention. The medical social worker's day may end with finishing charting and wrapping up documentation, such as statistics paperwork or data entry and, in an ideal situation, debriefing with colleagues. What Did You Like Most About Your Career in Medical Social Work? I thoroughly enjoyed being part of the medical team and providing a service that was needed and appreciated. Often the social worker is the only one who sees things from a systems perspective and can remove barriers that seem to be immobile. I also appreciated the opportunity to be trained in medical ethics and to provide ethics consultations in very difficult situations. Juggling an ever-increasing caseload and having to take a pager home on weekends was difficult. I believe strongly in work-life balance and when you are working in a 24 hour, crisis-oriented environment, this is difficult to maintain. Most hospitals and healthcare facilities require that the social worker has a master's degree in social work from a CSWE accredited program. Occasionally a facility will hire a BSW (bachelor of social work) to do discharge planning under the supervision of an MSW (master's of social work). Many facilities require that their master's level social workers be working toward licensure. What Advice Would You Give to Those Seeking a Career as a Medical Social Worker? I always advise prospective social workers to make sure they have dealt with their own issues and fears before trying to help others. They also need to have a strong family, colleague or friend circle of support. It's not easy to lose a young cancer patient you have been counseling for a year, for example, and not have someone to talk to about that experience. Medical social work is a stressful role, in general, and the social worker is often expected to be the glue that keeps the discharge plan together (and, often the healthcare team). That's a big expectation and a role only for the most "together" and mature practitioners.